As a former Wilderness First Aid instructor and certified waterfront lifeguard, I’ve heard this familiar saying often: “It’s not a matter of if [an emergency occurs], but just a matter of when.” To some, that might represent a brand of negative thinking that invites unexpected circumstances to sidetrack our hiking adventures. To others, it’s merely a warning that we need to do our best to control what we can and be as prepared as possible in the build-up to each outing. I’ve been on backpacking trips where unexpected allergic reactions have occurred when we were miles away from rescue or transportation. I’ve had a personal near-miss where I lost consciousness and tumbled about 25 yards down a hill before coming to rest (luckily safely) on the banks of a rolling river. In my younger days, hiking preparedness wasn’t nearly as important to me as it is today. But I’ve learned (from experience) that you can never be too prepared when things go wrong. That’s why I want to take this time to share these 10 tips for hiking preparedness. Side note: Once you’ve downloaded the information in this article, be sure to investigate the articles in my Hiking Tips and Trails section. Also, check out my Outdoor Gear page for reviews on water filters, tents, hiking shoes, trekking poles, and more. Lastly, check out my Backpack Reviews, including brands like Kelty, REI, and Gregory, if you’re in need of a new pack! Hiker goes out for a casual day hike in a new area. Hiker becomes wrapped up in the beauty and splendor of nature, losing track of time and bearing. As the sun dips lower, hiker realizes he/she is lost. Hiker panics and begins attempts to scramble up to a nearby ridge to get his/her bearings. As a result, the hiker is burning up valuable energy and moving further into a region that he/she is unfamiliar with. Meanwhile, back at home, hiker’s family begins to worry and, once the sun goes down completely, they call Search and Rescue. They alert Search and Rescue to the general area where the hiker said he/she would be, but by the time Search and Rescue starts their search, the hiker has moved out of that region and significantly decreased his/her chances of being rescued. Staying calm when things go wrong is the first step to overcoming unexpected events in the wilderness. When we panic, we compound the issue and make choices that, in hindsight, rarely seem rational or intuitive. By keeping our minds calm, we can listen to what our bodies need and, in most cases, increase our odds of overcoming the challenge that lies before us. One of the things we talked about often in our Wilderness First Aid courses was being able to fashion useful tools, splints, and other instruments from items that you’d typically find in a wilderness setting. Some simple examples include using a solid tree branch to act as a splint for a broken arm or harvesting dried pine needles for fire starter. Assessing your surroundings is really a practice you should be refining in every moment on the trail. If you do so faithfully, you’ll be much more prepared when things go wrong. At the moment you recognize you’re lost, for example, recalling the fact that you passed a stream about a mile earlier gives you a landmark to shoot for and a practical place to have access to water if you have to spend an unexpected night in the woods. In addition, continuously assessing your surroundings as you hike functions to build a mental catalog of bread crumbs that you can follow back home. Recalling that familiar V-shaped tree or heart-shaped boulder will help you re-calibrate your location and allow you to set a more accurate bearing to follow back to your starting location. Many hikers make the mistake of taking action before a good plan has been made. I’ve been there, done that, and I’m just happy I’m here to tell you about it. We once got lost on a hike down into the American River Gorge from the Pacific Crest. We were young, foolish, and made the inexcusable mistake of trying to “cut off” a few switchbacks on the way home, after a long day of hiking, cliff jumping, swimming, and beer drinking. Once we realized we were too far off trail for our own good, we simply pushed on, hell-bent on finding a “lookout point” that would help us get our bearings. If we had stopped to think for just a second, we would possibly have realized that we were in a massive ravine close to the American River’s headwaters. From our location, everything went up and the foliage was dense. The likelihood of finding that “high point” was very low. Now, on this occasion we got lucky and did find a vantage point, but not until after we had expended a bunch of unnecessary energy scrambling under, around, and most often through, prickly Manzanita after prickly Manzanita. Stopping and making a plan when things go wrong increases your odds of taking positive, inspired action that will actually help you remedy your situation. Take it from me: Action for the simple sake of action, especially when things go wrong, is a good recipe for compounding an already precarious situation. Unfortunately, we are sometimes conditioned to feel like asking for help shows weakness. And God forbid we let anyone on to the fact that we might be flawed human beings! I recognize that asking for help can be a hard thing to do, but when it’s the difference between rescue and the bleak alternative, it’s an easy decision 10 times out of 10. 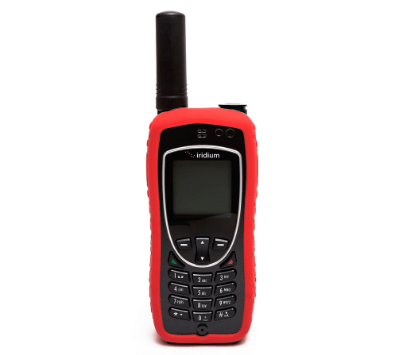 Carrying a radio, cell phone, satellite phone, GPS unit, or another type of distress beacon is especially recommended for those that like to spend multiple days in the wilderness at a time. When things go wrong, you’ll want some method for communicating with the outside world. While I firmly believe that self-care (or in this case, self-rescue) is the best medicine, it’s important to be prepared for a scenario in which you need help from an external source. Consider investing in a beacon like the ACR ResQLink+ or a GPS unit like the Garmin InReach Explorer+. I know these items can look like a big investment up-front, but when it’s an item that has the potential to save your life, can you really put a price tag on that? When things go wrong while hiking, we have this natural tendency to turn our attention to what we think needs to happen to get us home. 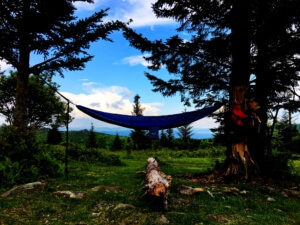 Whether you’re injured or you’ve lost your bearings, we often think that the best way to remedy our situation is just to get back to the trailhead. Today, I’m going to tell you that putting our focus on getting back to the trailhead is not always the best use of our minds. 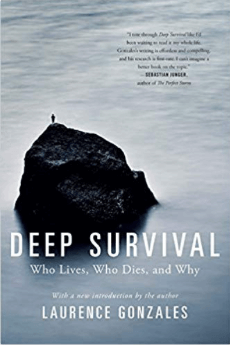 Going back to our earlier story from Deep Survival, our aforementioned hiker has not gotten himself more lost and significantly decreased his chances of rescue and, therefore, survival. If our hiker had remained in the location he was in when it first dawned on him that he was lost, he would’ve been closer to where Search and Rescue began their search. In all likelihood, it wouldn’t have taken much more than a strong signal fire for our hiker to be found within 24 hours. In the book, the author tells the story of a small child that gets lost in the woods. Instead of pushing his body to its physical limits to “get home” or “find a viewpoint,” the child pays attention to what his body needs. When he feels hungry, he finds something in his backpack to snack on. When he gets cold, he finds a protected root system to curl up in. In his case, our child is rescued within 24 hours because he paid attention to his body’s basic needs. On the other hand, ignoring those needs can lead to fatigue, delirium, and a bunch of other complications that ultimately decrease your odds of survival. Piggybacking off the previous point, it’s important to realize that things are already in a less than desirable state when they’ve gone wrong while hiking. The aforementioned steps will help you avoid this, but it’s still worth mentioning that any action you take when things go wrong should improve your situation. In waterfront lifeguarding, we take heavily about assessing the situation before we make the decision to undertake a rescue. To illustrate this point, consider a fast-moving river that’s approaching “flash flood” status. Now consider a trained waterfront lifeguard witnessing a dog or human being fall into this rushing river. Although our lifeguard is trained in a variety of rescue techniques, he doesn’t have the necessary equipment on-hand to perform a safe rescue. While I firmly believe that humans are capable of tremendous acts of courage, bravery, and superhuman strength when the lives of others are threatened, I also recognize the importance of knowing our limitations. Ultimately, we need to avoid making a decision that compounds the situation and makes it worse. In the scenario above, we can easily see how our rescuer attempting to dive into the rushing river without the proper equipment could result in a second victim for other rescuers to attend to. Navigating effectively can make a huge difference when things go wrong in the wilderness. 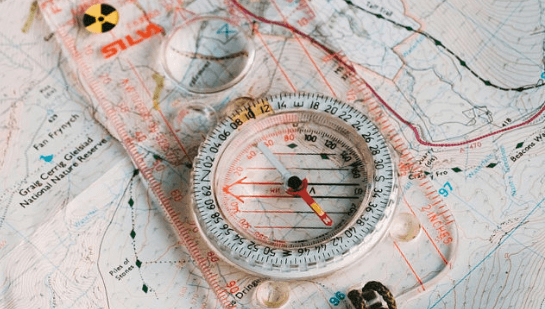 Whether you’re lost on your own or attempting to evacuate a member of your hiking group who has been seriously injured, every moment of ineffective navigation can result in the dwindling of necessary resources to keep your group alive and functioning at their best. I don’t go hiking without a compass and a physical map of the area I’ll be hiking in. While I know the benefits of technology and the usefulness of modern GPS units, I love to have a backup navigation strategy that doesn’t rely on batteries or the strength of a satellite signal. Of course, if you’re going to rely on a map and compass to navigate in the wilderness, you better know how to do so properly (i.e. take a course!). A lot of hikers make the mistake of not thoroughly researching a hike before they actually put their boots on the ground. Consider a military mission in which a group of soldiers is heading into mountainous terrain to rescue captured POWs. Do you think they’re going in blind? Of course not! And I know it’s a silly question, but I use it to highlight the importance of gaining as much knowledge about the area you’re going to hike in before you actually go there. Our imaginary military mission is going to be a lot more successful if the soldiers know the terrain, are familiar with possible hazards and have a solid plan for how to navigate in and out as efficiently as possible. 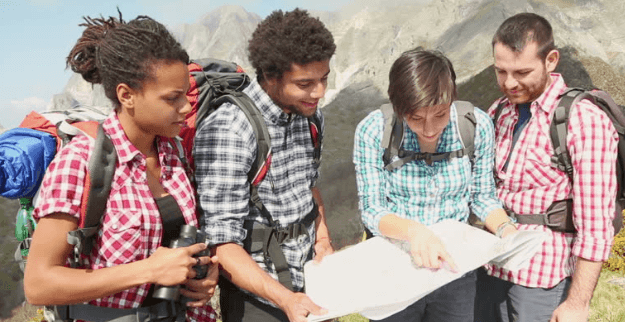 As hikers, these are all things we can research before we head out for a day hike or multi-day excursion. There are so many online resources, such as All Trails, that help us plan and prepare for hiking adventures. 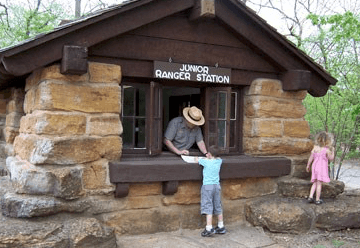 Personally, I love stopping into local ranger stations to inquire about certain wilderness areas, animal activity in those areas at that time of year, any fire restrictions currently in effect, and any other knowledge the rangers at the station are willing to provide. There’s no substitute for hearing it firsthand from the people that, in many cases, have spent their lives trekking in, around, over, and through their wilderness regions. 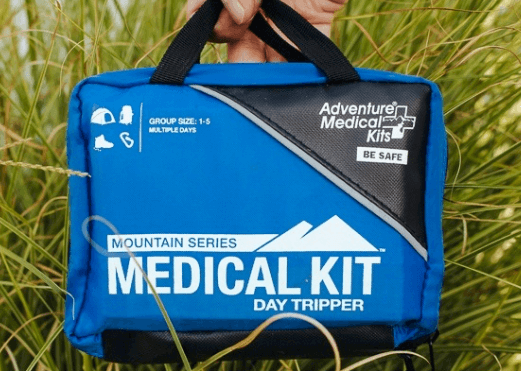 The quickest way for things to go from bad to worse if a member of your party is injured in the backcountry is to realize that your first aid kit is either out-of-date or empty. Checking your first aid kit and restocking any items that are low or missing should be part of your pre-hike checklist before every trip, especially if you’re planning on spending multiple days in a remote region. If you’re curious about what exactly should be in your first aid kit, check out my First Aid Kit List. Are These Tips for Hiking Preparedness Helpful? As The Backpack Guide, I’m on a mission to explore wilderness, create learning opportunities, and connect with nature. These are the objectives that underline all the content I create on this site. I want to inspire others to recreate in their respective wildernesses and to do so in the safest, most enjoyable manner possible. I’m also very interested in the experiences of others in the wild and I want to create a community of people that share those experiences and the lessons they’ve learned as a result. Now that you’ve read this article, I’d love to know if these tips are new to you and, if so, what you think about putting them into practice to prepare for your next backpacking or hiking trip. If this article brought up any questions, I’d love to hear them! Feel free to reach out to me directly (email below), or share your adventure by tagging @thebackpackguide on Instagram! Be Ready When Things Go Wrong! I hope you’ve enjoyed these Tips for Hiking Preparedness and I’d love to hear your feedback in the comments section below. I’ll be quick to reply to any questions, comments, or concerns you feel like sharing! Furthermore, I want it to be clear that I receive a commission for any product that you purchase by clicking the links I provide on this site. As an affiliate marketer, I have relationships with many of the leading brands in the outdoor industry. 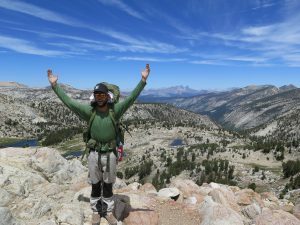 Everything that I earn through this site helps me continue to create more helpful resources, which will one day include guided backpacking trips focused on education, connection, and empowerment. My friends and I are thinking about going on a hiking trip this spring. I am however not the type of person that does anything outdoors. Yet they have convinced me to attend this trip. I started to research how the hiking world works because I’m not familiar with it. I also want to know the basics before I go on such a trip. Because if anything goes left I want to be able to remain calm and helps the others. What really grabbed my attention was your #8 to know before you go. This is a very good point that I did not think about. We have decided to go hiking in Boone, NC. We are not familiar with the area and this just does not seem like a smart move to me. Thank you so much for your insight and for this well written article. I’m excited to hear that you’re heading out this spring. There are so many resources available to help you and your group learn more about the area before you head out. When I mentioned to Know Before You Go, I really meant that you should do as much research as you can. But we can never really learn 100% about an area until we set foot there. I’d start by looking up the nearest ranger station to where you’ll be hiking and make a point to stop in there on the way to the trailhead! Thank you for a wonderful article. Informative, educative and exhaustive with great expository skill about ! The article highly appreciated if you could help me with where I can learn hiking? Our minds at such points or situations will unlikely do any of those tips due to fear of unknown. your knowledge of the subject is awesome. How long have you been in hiking? I have been hiking for the better part of two decades now. My parents started us young and I got into backpacking when I was in high school. Growing up in the mountains made wilderness and the outdoors very accessible. There’s really not much to learning how to hike! Maybe I’ll write a post about it soon! 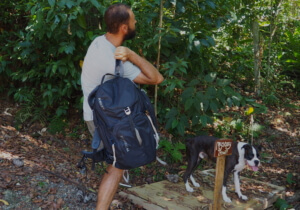 This list about hiking and what to do when things go wrong, should be a mandatory read for anyone who is about to go on a hike. Some of the tips that were mentioned I am familiar with but somethings that are actually so simple and basic I never really considered, Like packing a first aid kit, and that is probably something that should be a priority. I do go on day hikes but I have never really studied the area where I was going, however I can now see that I should. You never expect anything to happen to you but it can be something just as simple as twisting your ankle. Thank you this very informative article about things to do before hiking. Thanks for the comment Alexandra! I’ve spent years hiking around the mountains surrounding my hometown and still learn new things every time I go out. It’s amazing what a humbling teacher Mother Nature can be! It has taken me a long time to learn as much about hiking as I now know, and we’re always learning more. I’ll admit that I’m guilty of not checking off every one of these items before I go out for every hike. But that’s why I started with the mental aspect of how to react when things go wrong. That’s the most important step, and will put you in a better position to succeed, even if you have neglected some of the other tips! 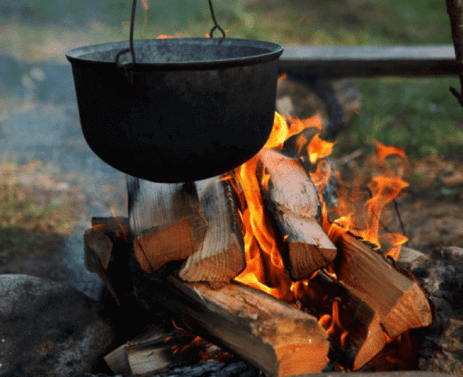 This is a great website as I was brought up around the woods and was taught many survival tips but not all of what you have suggested. Like carrying a radio and a first aid kit…those were never in our camping trips, and it seems like common sense now that I read it here. I have a great respect for wildlife and the wilderness as I do for the ocean. 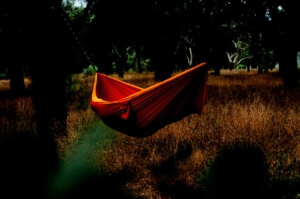 Many people say they love camping but don’t really know how they will react when they are in distress so it is good to try and stay calm in hectic situations. Your comment touches on what I believe to be the most important tip in the article. And that practice of staying calm when things don’t go as planned can be taken into all aspects of life and applied far beyond the beautiful wildernesses and stunning oceans that we love so dearly! your trips and tails information is gold! 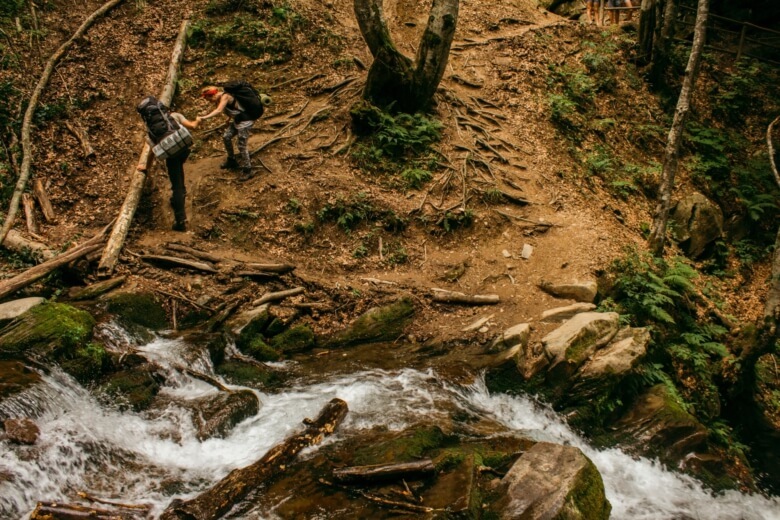 especially this post: When Things Go Wrong: 10 Tips for Hiking Preparedness. I am not a hiker because of my unfounded fear of ‘getting lost’ as you have written here. I have always wanted to hike our beautiful New Zealand natural parks (especially, hike the Fiordlands) and have added it to my bucket list. However, it is that one fear, that keeps me from ever trying, even when I have friends willing to go with me. I make some excuse for why I cannot join them. After much research and seeing the many envious social media posts of my friends climbing Mount Kilimanjaro, I have decided that it might be too late by the time I make that step. I have been trying to find something online that will give me enough information to why I can and should. Your article has given me great insight into how I can be well prepared, should my fear become a reality (God forbid). I definitely like that ACR ResQLink+, which I believe will be a useful tool to have, in just about any dangerous situation (like a normal trail where I fall over and hurt myself). 7. Navigate Effectively – Hmmm, I will look at your modern GPS units. 9. Stock your first aid kit – I have to admit that this is one I am not good at and probably need to check if there is one at all. So all in all, your post: When Things Go Wrong: 10 Tips for Hiking Preparedness, is like a checklist for me to measure myself against. My rate of 6 definites out of 10, is a confirmation that I can overcome my fear of ‘getting lost’. I feel that you have given me a peace of mind, and the fact that you are a former Wilderness First Aid instructor and certified waterfront lifeguard gives you more authority to what you have written is an added bonus. A piece of very enjoyable yet helpful information for any hiking beginner, just like me. Thank you. I’ve heard so many amazing things about the national parks in New Zealand. Two of my high school mates spent six months over there living in a van recently and their photos were incredible! I’m glad you liked the article and have adapted it to your own personal checklist. I wish you the best of hiking journeys to come! …you don’t know how valuable your site is to me right now 🙂 have a great day. I’m very happy that you’ve found value on my site. If there are any hiking topics or gear reviews that you’re interested that you can’t find here, please let me know and I’ll add it to my list of content to create!